Please Take Note: This is a review of the final game, but it might change slightly based on the success of the Kickstarter campaign. The game is being reviewed on the components and the rules provided with the understanding that “what you see is not what you might get” when the game is published. If you like what you read and want to learn more, we encourage you to visit the publisher’s website. Now that we have all that disclaimer junk out of the way, on with the review. The life of a ninja is filled with training and dedication. The goal is to be unseen, quick, and in many cases, deadly. In this game, players will need to keep their true strength hidden and reveal as little as possible as they attempt to gain wealth in secret. But when all your opponents hide behind smokescreens, sometimes the best weapon is a blatant trap. Just don’t be fooled by your own tactics. 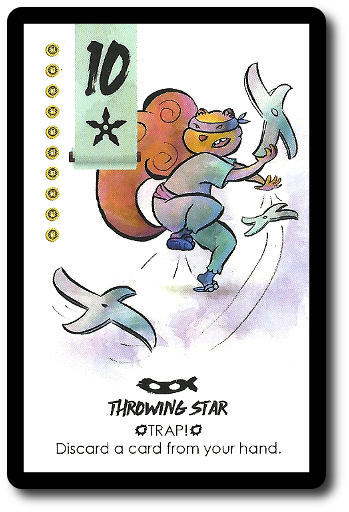 Ninjitsu!, designed by Peter C. Hayward and to be published by Jellybean Games, will reportedly be comprised of 54 cards. As this is a review of a prepublished game, I cannot comment on the game component quality. 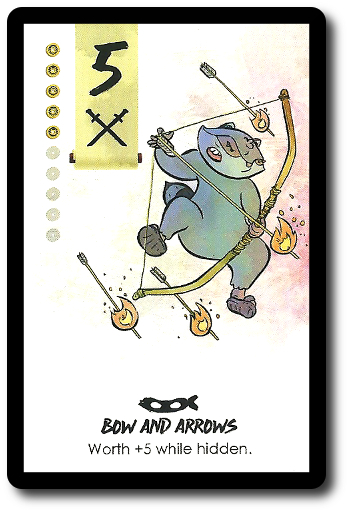 Artist Kellie Jo has captured the “Way of the Ninja” using colorful and lighthearted illustrations, making the cards bright on the table and enjoyable to look at. To set up the game, first shuffle all the cards and have the players sit in a circle. Second, deal each player 4 cards, face-down. This is the player’s starting hand. Players should not show their cards to their opponents until they are played or made to do so. Third, place the remaining cards face-down in the middle of the playing area. This is the draw deck. Leave room for a discard pile. Ninjitsu! is played in turns. A player can take one of three possible actions on their turn, which are summarized here. There are three different cards that can be played in the game. The first type of card can be played only for their noted ability. These cards do not have a mask symbol or a Treasure value. When played to the discard pile, their ability is immediately resolved. The second type of card has a Treasure value, but no mask symbol. These cards can be played in front of the player for their Treasure value (contributing towards the player’s victory) or discarded for their ability. The third type of card has a Treasure value and a mask symbol. These cards must be played face-down in front of the player as “hidden Treasure”. The Treasure value counts towards the player’s victory, but they remain hidden from opponents until revealed. This action allows the player to steal one hidden Treasure card in front of an opponent. 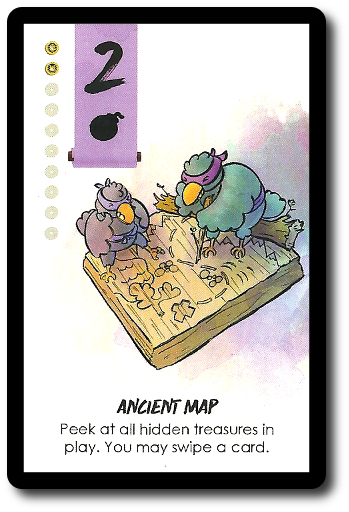 The Treasure card is revealed and added to the player’s collected Treasure, face-up. It’s possible that some hidden Treasure cards are traps in disguise. If they are, the trap is immediately resolved and the player’s turn is over. Only hidden Treasure cards can be stolen. This action allows the player to draw 2 cards from the draw deck, adding them to their hand. If the draw deck is depleted, shuffle the discard pile to create a new draw deck. The game continues, which each player taking one action per turn, until one player believes they have collected 21 or more points of Treasure (both shown and still hidden). The player immediately announces their total and reveals all their Treasure cards. If the player counted incorrectly, they must skip their next turn, but they keep all their Treasure (which is now revealed to all their opponents). If they counted correctly, they win! For a longer game, increase the total amount of Treasure necessary to win to 30 points instead of 21 points. This makes for a longer game only. Not a more complicated game. Ninjitsu! can be added to its big pirate brother, Scuttle!. Both games are played as normal except that hidden Treasures cannot be protected, stolen, or destroyed. They always contribute to a player’s total Treasure score. Yes, you are mixing pirates and ninjas together. Perfectly legal in the gaming world. 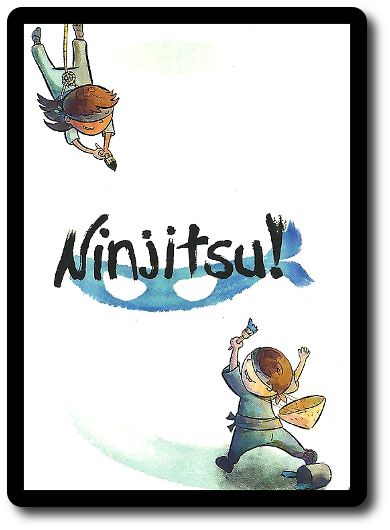 To learn more about Ninjitsu!, visit the publisher’s website. The Child Geeks liked how fast the game was played and often became frustrated by how quickly and easily their “hard-earned Treasure” was stolen. According to one Child Geek, “The game feels impossible to win at times because everyone is stealing everyone else’s treasure.” Another Child Geek said, “Part of the fun is trying to hide what you can and stealing the right treasure at the right time. It makes you be sneaky.” It certainly does and the Child Geeks learned that lesson quickly. Ninjitsu! 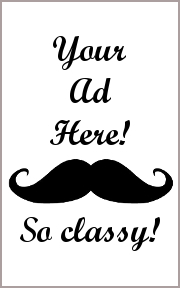 is not a game where you flaunt your wealth. You must keep hidden what you can, bluff, misdirect, and steal like a ninja. Not that ninjas were thieves…well…not all of them. Didn’t matter to the Child Geeks, however, and they all agreed to approve the game. Even if the games were frustrating, the Child Geeks always found them short and fun. The Parent Geeks found Ninjitsu! to be a great game for their family. Playable by younger players and older players alike, the game play is so straight forward that the learning curve is low enough for anyone to jump over. According to one Parent Geek, “I like card games like this that keep all the players occupied, turns are quick, and the game play raises everyone’s eyebrows.” Another Parent Geek said, “The game can be frustrating, especially for my younger kids who feel like their older siblings are stealing all their treasure, but I remind them that the game is about getting as much as you can as fast as you can. 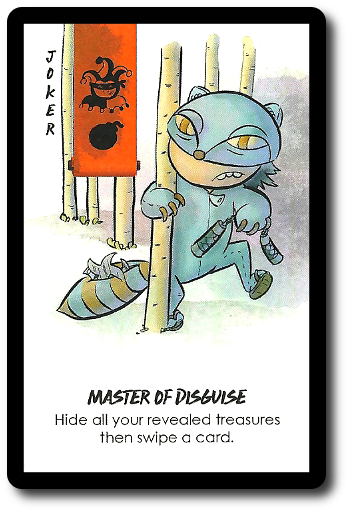 Everyone at the table learns quickly that hiding your treasure is a must.” The Parent Geeks gave Ninjitsu! their full approval. Ninjitsu! is simple, to the point, fast, and fun. 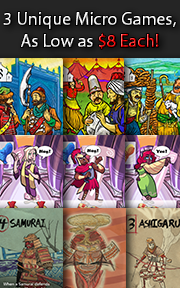 A great card game for the family that falls well short of being a game an elitist would enjoy. The game isn’t boring and actually has a lot of moments that generate pure frustration, which was loudly voiced by the Child Geeks. The game can feel a bit broken at times, as players can go around the table, again and again, stealing treasure. Note that this is not the norm, but it can certainly happen. Eventually all the Treasure will be revealed and the players will have to play cards again. This does little to help ease the pain of having points taken from you without the ability to get them back. Personally, I found the game to be neither good or bad. It’s fast to play and easy to learn, with very little in the way of depth. Perfect for when you have a free moment with the kids or want to enjoy a game with the family. While Ninjitsu! might not steal your heart, expect this game to surprise you with its stealthy entertainment. Tagged Bluffing Games, Card Games, Child Geek Approved, Parent Geek Approved, Prepublished Games. Bookmark the permalink.